Updated 23 January 2019 to delete unnecessary pal files, to remove configuration lines that had the trees going to rock suitability, and generally tidy up. Description: Here is a spring pack. 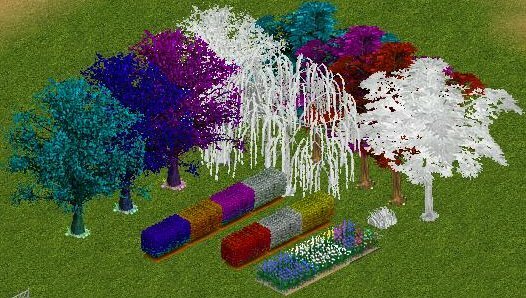 It contains several different colored elm trees, several different colored maple trees, several different colored hedges, 3 flowerbeds, a white willow and white grass.